This is from Google Map. In the morning of the 27th of December, I just decided to trace the flow of Cawayan River from Brgy. Basud up to Sorsogon Bay. It would be my first attempt to trace the river on the Eastern direction. The last time we did trace the Western side of the river was on my college days with my best friend – we followed it up stream up to the saday na busay (small falls). Log 12272010/0814H: Waiting a ride to Brgy. 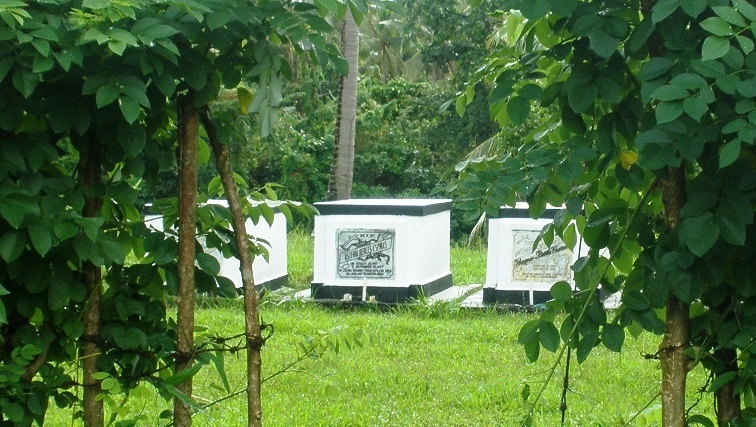 Basud where the Cawayan Bridge is located. It’s drizzling, the sky is dark and it seems that hard rain is just around the corner (it did rain earlier in the morning). This is the eastern side of the Cawayan Bridge. Log 12272010/0821H: Taking some pictures from the bridge. Decided not to ride the jeep from its cargo bay (which I normally do), lest I slip and find myself in the road. I am also looking for the trail that I have to take (so far, I can’t find one that I am not going to get wet). 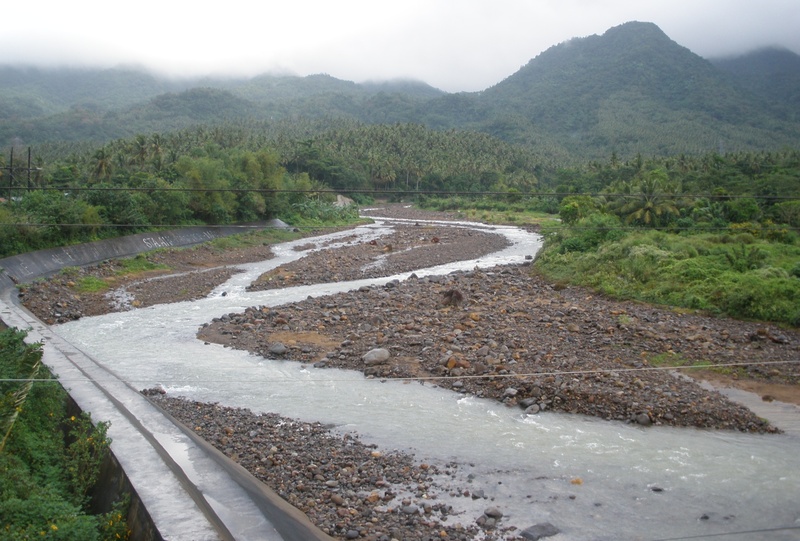 This is the western side of Cawayan river relative to the Cawayan Bridge. Log 12272010/0837H: It’s starting to rain and the drops are getting bigger. 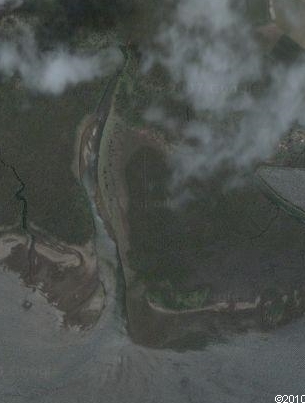 I found out from one of the locales that the mouth of the river is 3km away. Uh-oh, that’s an underestimation on my side. 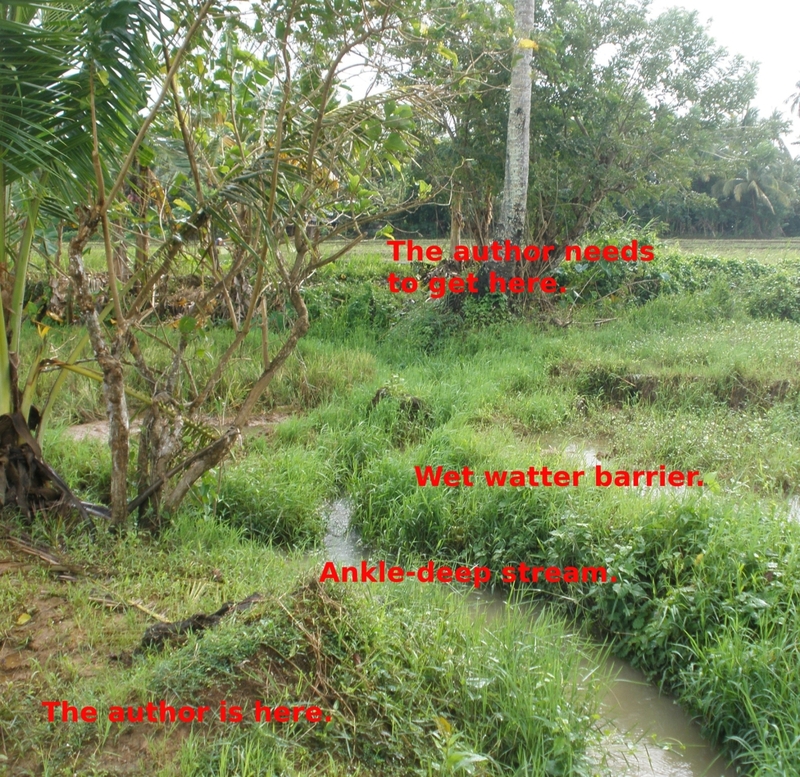 After observing the current of the river, I find it very risky to wade plus the fact that I am totally ignorant of Eastern side (for the Western side, my friends would normally stay overnight), I am taking Plan B – go to Brgy. 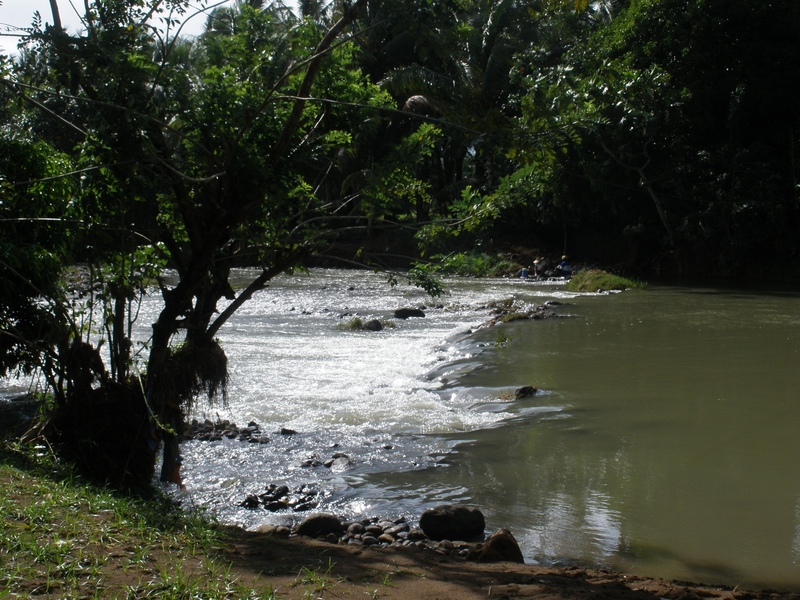 Barayong/Gimaloto and check the river sections intersecting with the said barangays. 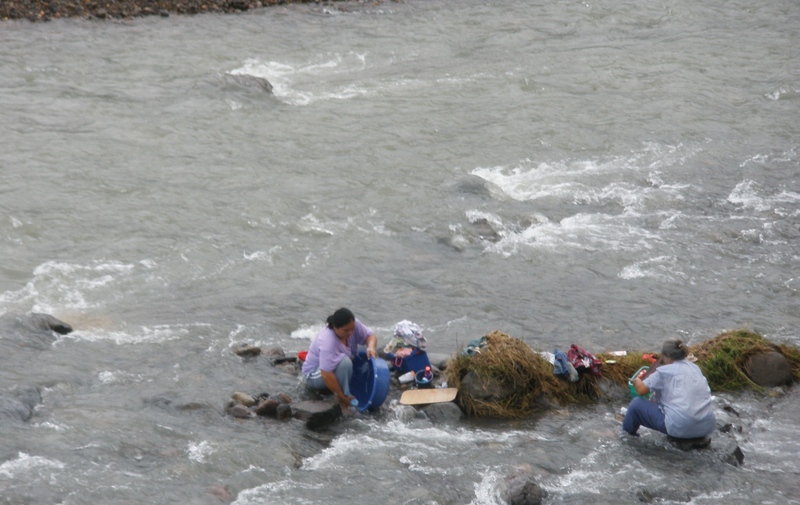 Cawayan river is well known for for doing laundry. Log 12272010/0847H: On my way to Brgy. Barayong via a tricycle. The narrow barangay road starts from the Maharlika highway in Brgy. Guinlajon. A different view from the road - a private memorial lot for the Espinas Family. On my way to the river by foot, I encountered this lot where several persons were interned – it’s the Espinas Family’s private memorial lot. The parents and sons/daughters are interned here, according to one of the grandsons I met; the rest are buried in the public cemetery. Log 12272010/0907H: Found the river and seems to be deep. According to a farmer I met, quarrying was done previously but not lately. And every year, the river should be cleared of silt, but the contractor won’t go beyond this point (the river mouth is located in Brgy. Gimaloto). The left side (not in the picture) has the rice paddies protected from seasonal flooding. The author almost fell off from this barrier when a portion of it collapse due to his weight. Log 12272010/0930H: I am in another section of the river, after passing through a rice paddy with irrigation. The river is getting narrower as you get near the bay. Log 12272010/0940H: Seems I hit a dead end. I also observed that the river is getting narrower. There are also signs of regular flooding (you can see marks on the stones or garbage hanging on the branches of the trees). 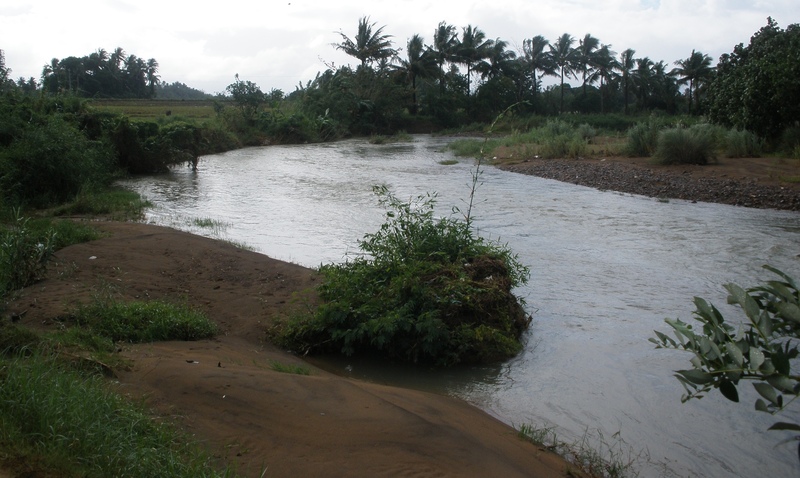 This is another section of Cawayan River in Brgy. Barayong. Log 12272010/0947H: I am near a coconut tree, trying to figure out what’s the next move towards the main road in the horizon. This is where I stayed almost 15 minutes how to get to the other side. Log 12272010/1003H: Going back to the main road in Brgy. 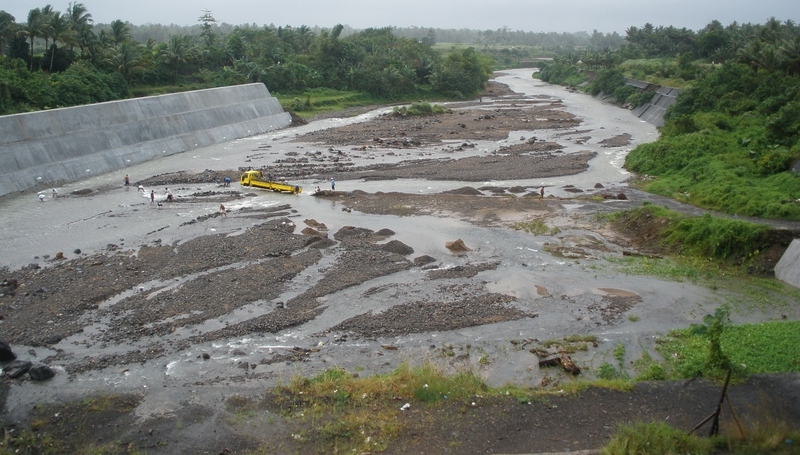 Barayong, the water barriers made of fresh mud can’t simply take my weight! I tried twice, I almost sunk (well, I did sunk but was able to pull my foot before it sunk completely). And I know how much effort the farmers put on these barriers. This place (Brgy. Gimaloto) must be nearby the mouth of the river due to the presence of bancas. Log 12272010/1047H: Eventually I found a foot trail in Brgy. Gimaloto, just along the river. Along the way, I saw kids swimming, a couple of teenagers quarrying sand. Then I found a couple of bancas on the river side – I knew I am just nearby. I sent SMS to my wifey to inform her of my find, but not response so far. Log 12272010/1056H: I can hear running engines. It must be pump boats chugging in the bay. Or, it might be farm tractors – though I will find it surprising since I am near the swamp area. 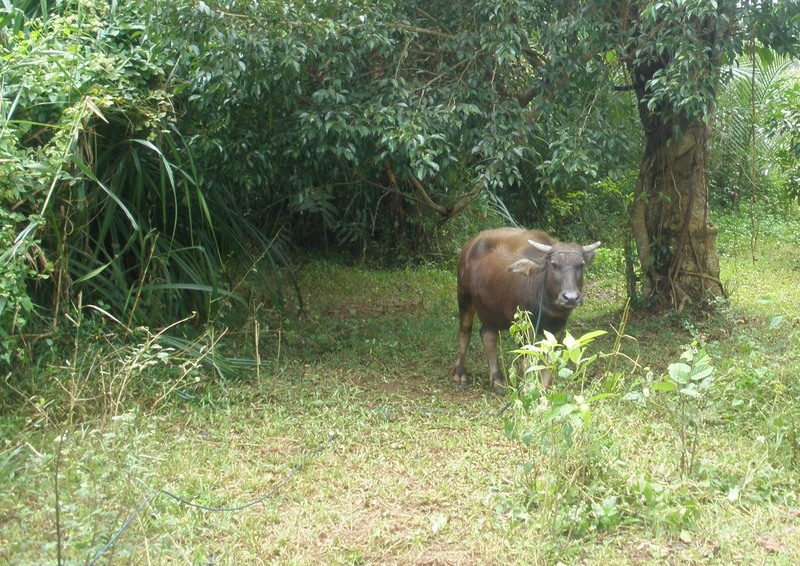 The carabao startled the author while trying to look for a foot trail to the mouth of Cawayan river. Log 12272010/1059H: DEAD END!!! I did find a very old trail, but the shrubs are taller than me and I really don’t have any idea what’s behind it. Time to head back for lunch and try it another day, perhaps with my kid and wife. Log 12272010/1125H: On my way back to Maharlika highway, my wife called and asked me where I am. I told him to wait for me for lunch. Luckily, I saw a tricycle going out of Brgy. Gimaloto – I took it up to the highway. When I got home, my wife was waiting for me to join me for a hearty lunch courtesy of my mother in-law. 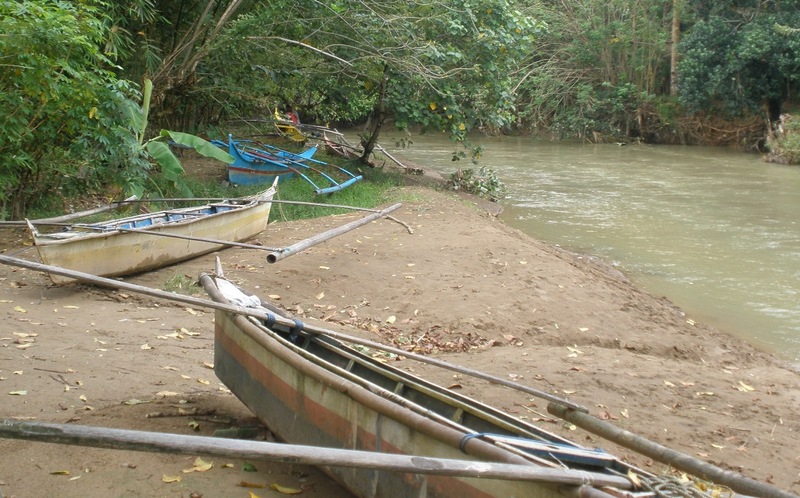 The next time we go visit our hometown, I plan to rent a banca from Brgy. Gimaloto until we reach the mouth of the river. It would be a new experience for my daughter (myself and my wifey). This entry was posted in City Sights, Economy and Business, Environment, Hobbies, Mountaineering, News, Photography, Travel and tagged barayong, cawayan, eco-tourism, gimaloto, google maps, guinlajon, Recreation. Bookmark the permalink. Keep me posted from suba to rimpulas. I am hoping to take the boat from Rizal/Bulabog area and take some pictures of the bay coastline. I grew up in the province, but only now I am getting to know my place. Nice to know that somebody share the same interest. did you speak to any local resident of gimaloto? i grew up in gimaloto and i still miss the place. i have read about a complaint regarding the clandestine mining. What are they doing in that river? I didn’t have a chance to interview the local residents, unfortunately. I Grow up and born in Gimaloto,Its Been forgetable Memories. Last time Visit the place,The water of the river is much polluted, Used to be clear and much more to enjoy it.. Now most of the kids swim either well have lots of skin problem due of chemical reaction used by mining ..MOst local peoplejust paid by corrupt officals. But They didnt see the inpact what happend to the childrens or other life that used the water.. 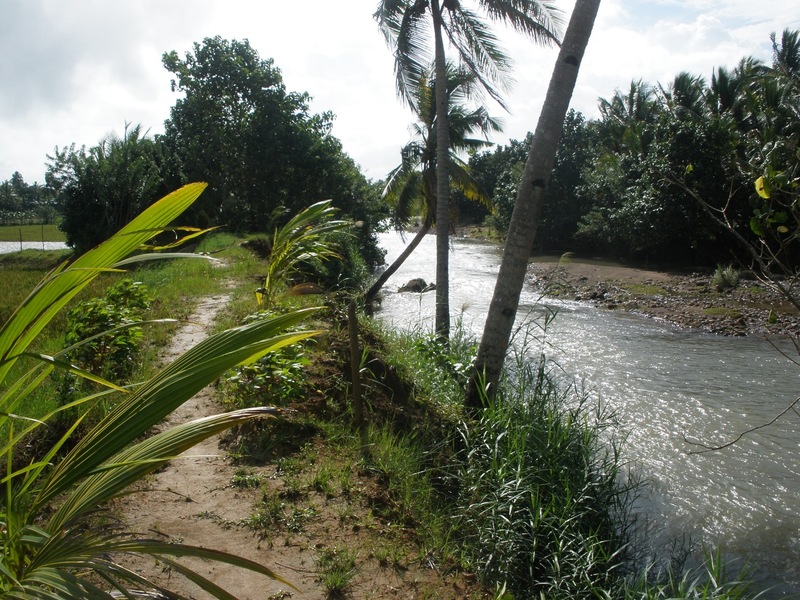 I am glad someone took a picture with its caption about kawayan river to gimaloto..I’ve been here for the past 20 yrs since my early retirement the right portion after the bridge is where I settle its a small farm that belongs to my ancestor’s the late Francisco JImenez, Peralta Lariosa. I had a very sad experience here because of continuous illegal quarrying. My cousin moved to Basud since his house is almost near the kawayan river cause of the soil erosin and floods. I wish that soon illegal quarrying will soon put to an end an REHABILITATION OF THE RIVER WOULD BE REALIZED..
Basi may magibo tabi an mga botante sain Gimaloto niyan na eleksyon.